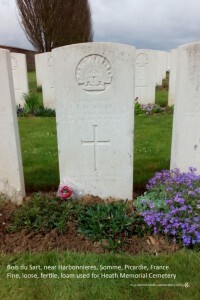 Heath Memorial Cemetery is in the middle of fields along a road here, north of Harbonnieres. 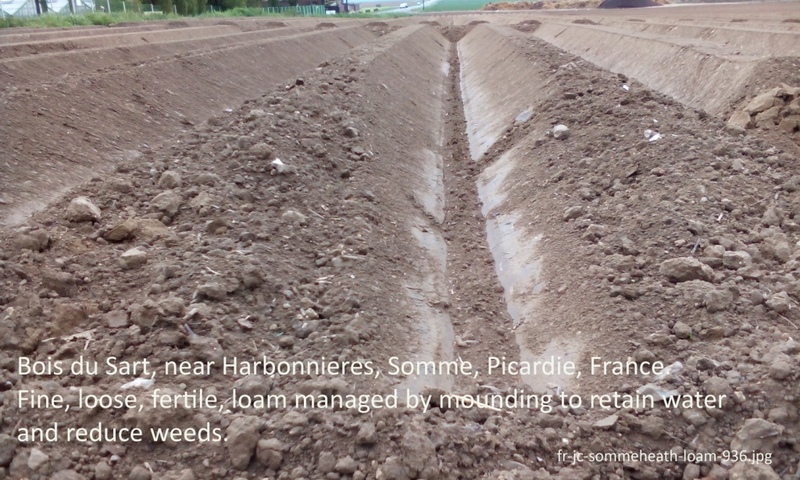 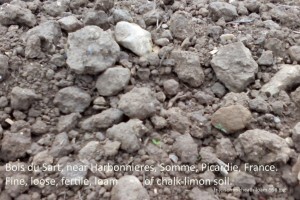 Agriculture – chalk drains well and limon is fertile. 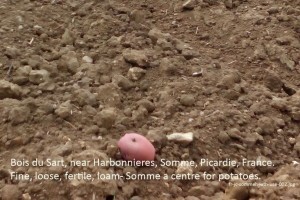 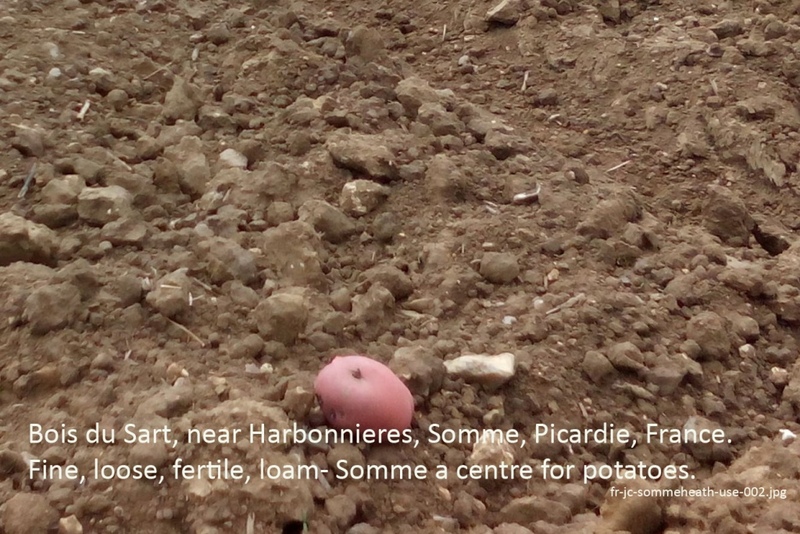 This is a region for growing potatoes and many grain crops. 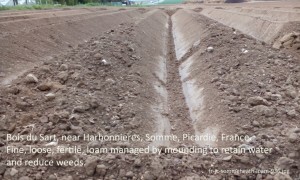 – Heavy rains can erode loose soft soils down the hills- ploughing across the contour.